Cargo bikes with and without electric drive - good and cheap prices on e-bikes4you.com! The superlative cargo bikes from Triobike are particularly suitable for transporting children or support you as an electric transport bike for your daily errands. Triobike is the leading manufacturer of high-capacity electric cargo bikes. We are authorized Triobike cargo bike dealers in Germany and Austria and are convinced of the efficiency and modernity of cargo bikes. 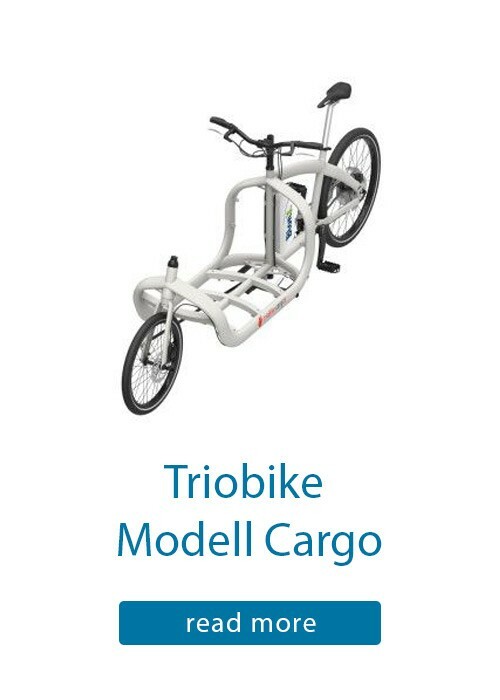 If you want to buy a cargo bike that has a spacious design and maximum carrying capacity, Triobike Electric Cargo Wheels are the answer. 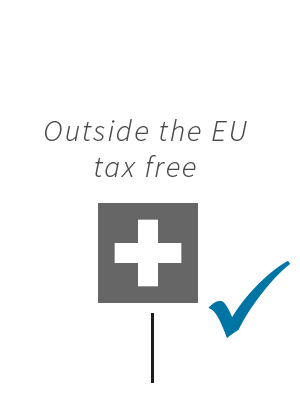 The products are safe (which is particularly important in children's transport) and high quality. 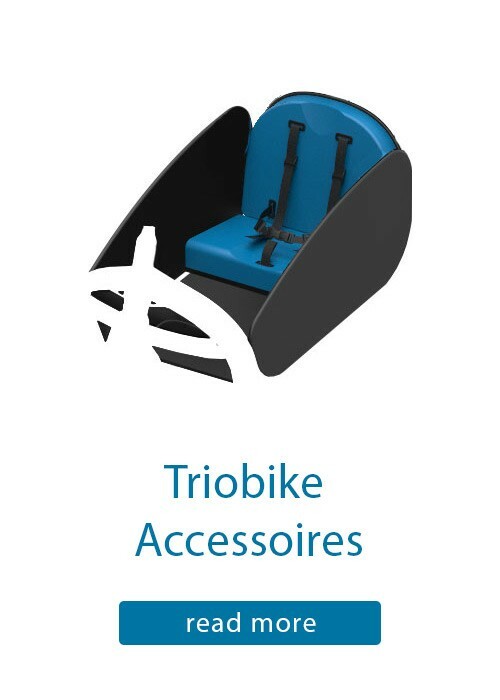 The Triobike Lastenbike guarantees long-lasting and fully functional driving pleasure. Carry and transport your cargo (child, dog, transport eg shopping) with a lot of style and on request with electric drive from BionX. 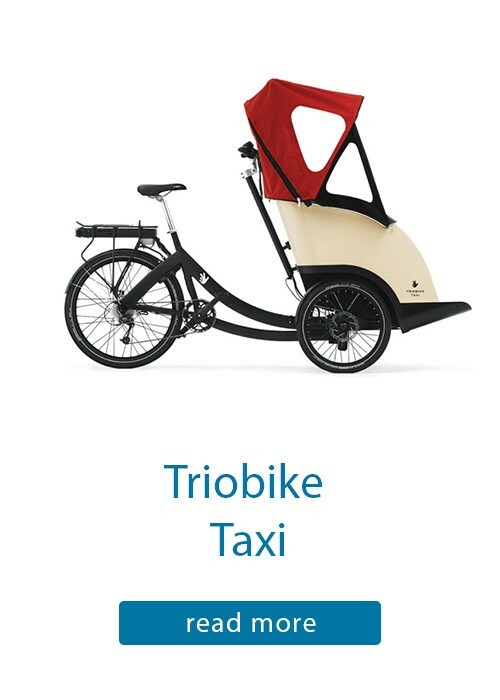 Triobike, as one of the best manufacturers of cargobikes and tricycles in Germany, offers you an intelligent and safe transport solution. 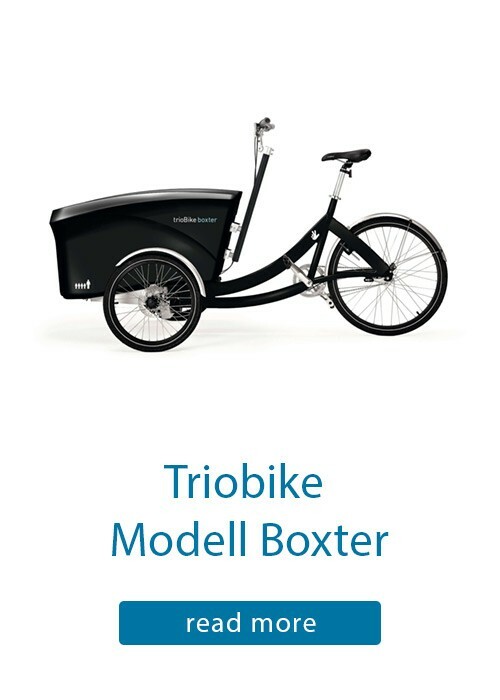 You have a wide range of modern cargo bikes (Triobike Mono, Cargo, Boxter and Taxi each with or without BionX drive) to choose from. Easy to use and guaranteed fun for your kids included. Whether as an e-cargo bike or as a standard cargo bike - it is the perfect solution for those who want a comfortable transport bike that has been specially assembled for carrying purposes. The tricycle Triobike provides a comfortable geometry thanks to the upright seat and the adjustable seat post. So you can relax on your transport bike (as well as cargo as well as tricycle) even on long trips to enjoy the scenery. If you decide to buy an electric cargo bike, enjoy your tour with the extra power of BionX. Triobike has been the market leader in cargo bikes for more than ten years. The brand was born in Copenhagen, Denmark in 2004. The numerous bike paths and car-free zones show that Denmark lives cycling as a passion and E transport bicycles have always been known there. 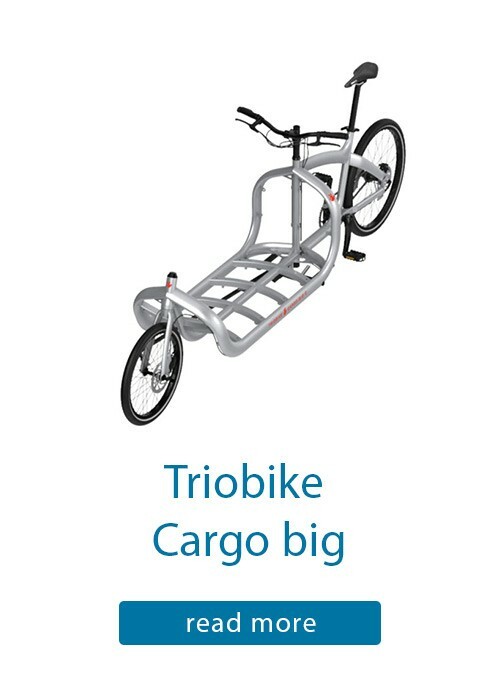 As a leading bicycle manufacturer on the Danish market, the Cargoräder from Triobike have established themselves with us to this day. With years of know-how, Triobike has initiated a major turnaround in the freight bicycle industry. 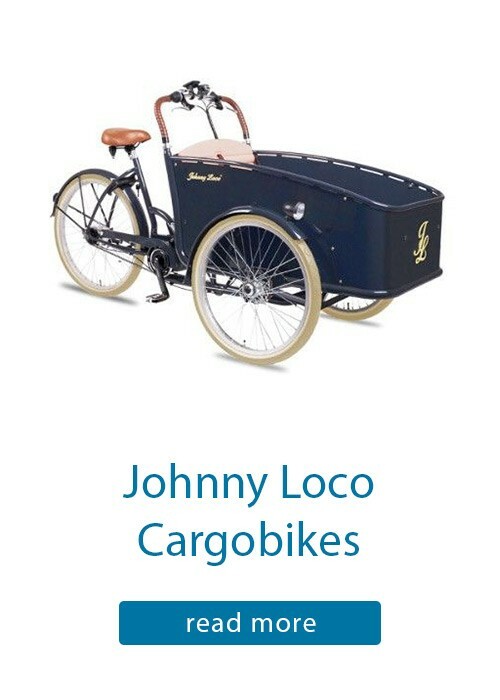 Thus, a new generation of cargo bikes has been launched, which (unlike, for example, comparable Johnny Loco, Long John or Winther Kangaroo cargo bikes) are tailored to the needs of each individual driver. The new (electric) cargo bikes are versatile, whether for the transport of parcels or grocery purchases or the daily ride with the children to kindergarten. The electric freight bikes of the brand Triobike play in their own league in terms of quality and performance. Equipped with the retrofit kit of the BionX D series with the powerful 555 Wh battery and 250 W motor, any transport is child's play. The electric-powered cargo bike convinces you with unbelievable ranges and high performance. Triobike e-cargo bikes are particularly well-suited for everyday use (such as children's transport), where you do not want to sweat right away or you want to go faster in the morning. A transport bicycle with electric drive from BionX supports you safely and reliably up to 25 km / h. If you buy an electric cargo bike at e-bikes4you.com, your personal distances and kilometers driven will multiply and you will experience boundless driving pleasure! Here you will find all cargo bikes with BionX drive. A version of the classic bike with extended wheelbase was developed by Triobike due to the very high market demand. Unlike the other two models, the cargo cargo bike is equipped with 2 wheels. The individual models are the Cargo, Cargo P (with lighter equipment thanks to 4-piston disc brakes and SRAM X7 derailleur), Cargo S (sportier equipment with Gates belt drive and Shimano disc brakes), Cargo R (Race variant) Cargo C (exclusively as Transport Fahrrat with attractive and practical wooden transport box with weatherproof cover) and Cargo E (cargo bike with BionX electric drive). The loads tricycle with space for up to 2 children is available in 3 variants. 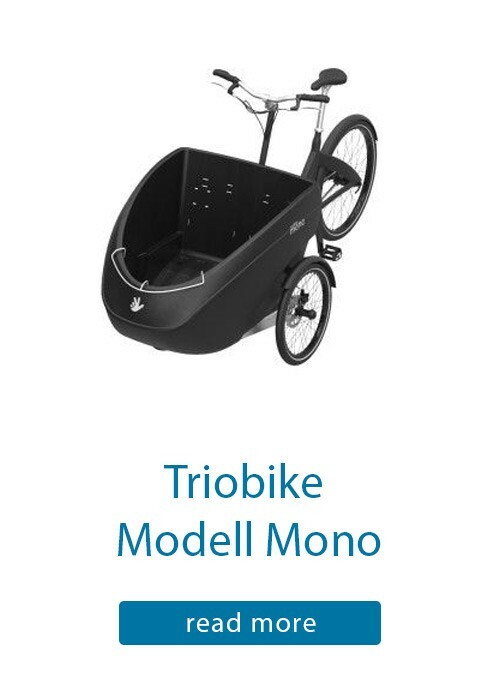 The various models of cargo bikes are called Triobike Mono, Mono S (with sporty 10-speed derailleur from SRAM) and Mono E (electric tricycle with BionX drive). A tricycle of superlatives with room for up to 4 children! 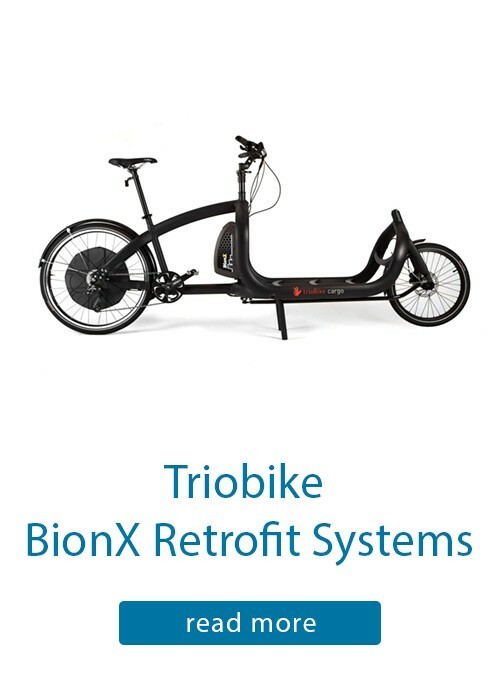 Available only on e-bikes4you.com as a normal Boxter variant and in addition as Boxter loads electric bike with BionX engine. With the reliable 8-speed hub gear and Tektro disc brake front and rear roller brake you are guaranteed to reach your destination safely. The interior of the transport box is fabulous 97cm long and 75 cm wide, the daily transport of children or luggage so nothing is in the way. The Triobike Taxi is designed to carry up to 2 people who want to travel comfortably from one place to another. Of course, this model is also available with electric drive, so every ride to the perfect pleasure. The Triobike Taxi is also particularly suitable for people with limited mobility or mobility problems, because the comfortable seats and the safety precautions ensure maximum comfort and maximum safety. 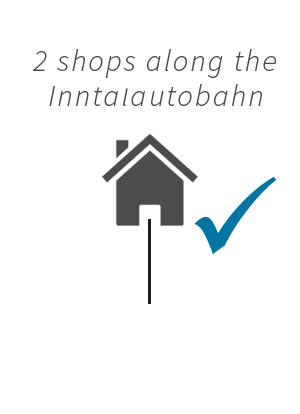 A look at the specifications of our cargo transport bicycles and transport tricycles shows that the bikes and pedelecs are equipped with high-quality components. 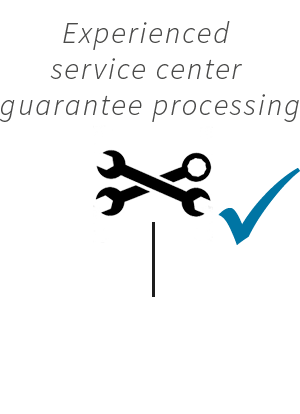 This ensures easy repair and maintenance for you. You would like to buy a cargo bike or electric bike or are you interested in one of the Triobike transport wheels? 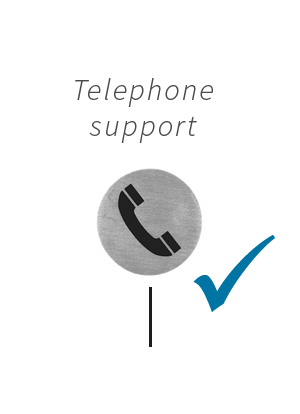 Then feel free to contact us for our opening hours! 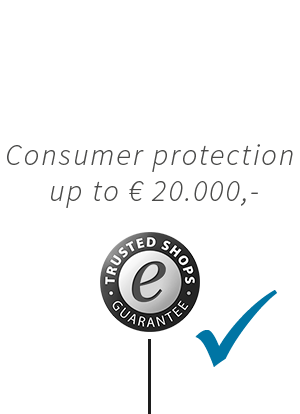 The team of e-bikes4you.com is always at your disposal for any questions about cargo bike, transport bike with or without electric drive, child transport, tricycle and much more. You can also browse through our versatile range of accessories for cargo bikes: No matter if the matching baby carriers and seats, all-weather hoods, transport boxes and much more, you will find it here at e-bikes4you.com.